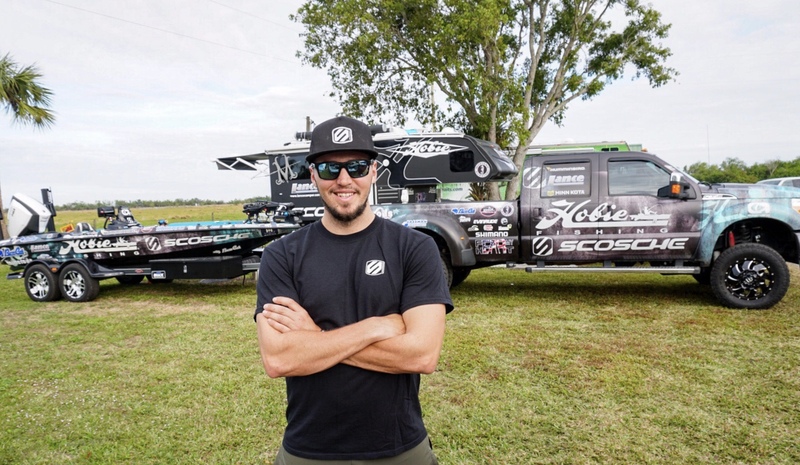 Scosche is pleased to announce that it has become a key sponsor of Carl Jocumsen for the 2018 fishing tournament season. Carl has been featured on well-known television news programs and fishing shows and he maintains an active social media presence. Visit Carl’s website at carljocumsen.com to learn more about his amazing career and current events. You can also follow Carl as he competes in major bass tournaments and events during 2018 like the Bassmaster Elite Series. ''Over my career I have been lucky to have the support of many company leaders and innovators of their industries. Scosche makes products that we have used and loved in our everyday lives for the past few years, to have their support now on a major level is truly inspiring for us. I’m excited to bring Scosche and their amazing products to the fishing world here in the USA and Australia'' stated Carl Jocumsen. Follow @SCOSCHE on Twitter, Facebook, GOOGLE+, Instagram , Pinterest and LinkedIn for the latest news on all of the company’s award-winning consumer tech and car audio products and accessories. Also visit our company Press Room and the company BLOG accessible via the company’s website. Founded in 1980, SCOSCHE Industries is an award-winning innovator of consumer technology, powersports and car audio products - committed to delivering superior product quality and functionality, exceptional value and unmatched customer service. The designers and engineers at SCOSCHE develop products that reflect a rich heritage in audio and mobile technologies. SCOSCHE finds inspiration in the California lifestyle, culture, music and people. These influences can be seen in the accessories and products that are now in the hands, homes, offices and vehicles of people in over 50 countries. With hundreds of patents/trademarks and countless industry awards received, it is easy to see why SCOSCHE is consistently at the forefront of technology and innovation.